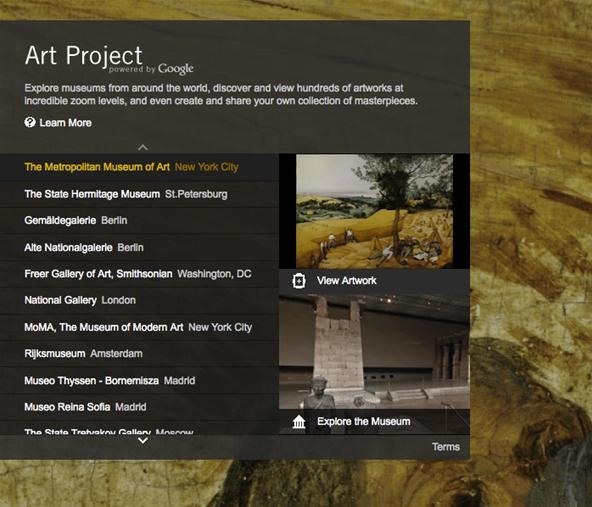 This morning, Google released a new project, aptly named the Google Art Project. This new online tool puts over 1,000 works of arts at your fingertips. And we're not talking Google Image Search. 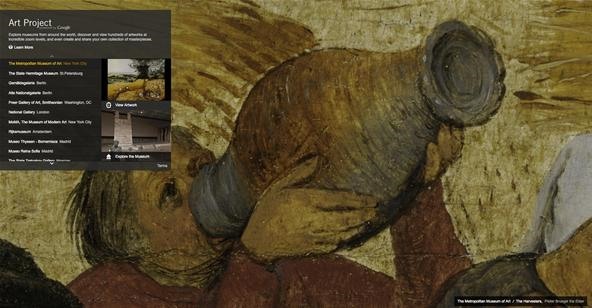 The Art Project provides extraordinary details for some of the world's most famous paintings. 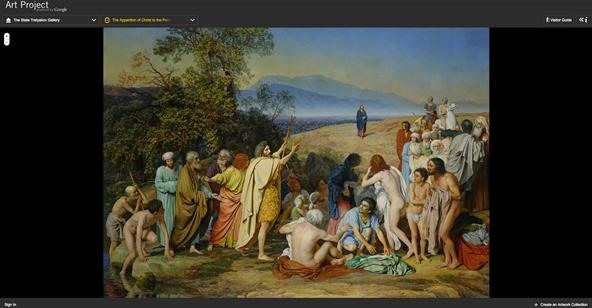 You'll find a selection of super high-resolution images of famous works of art as well as more than a thousand other images, by more than 400 artists—all in one place. Google has enabled their Street View technology to take all of us art lovers on a virtual tour of 17 of the world's most acclaimed art museums, including The Metropolitan Museum of Art and MoMA in New York, The State Hermitage Museum in St. Petersburg, Tate Britain & The National Gallery in London, Museo Reina Sofia in Madrid, the Uffizi Gallery in Florence and Van Gogh Museum in Amsterdam. Not just to regular museum-goers or those fortunate to have great galleries on their doorsteps, but to a whole new set of people who might otherwise never get to see the real thing up close. Some have their problems with the lack of art contained, but most people who enjoy the mesmerizing quality of a classic hand-painted work of art will devour this whole. In some ways, this is way better than Google's Body Browser. Now... start enjoying the masterpieces! 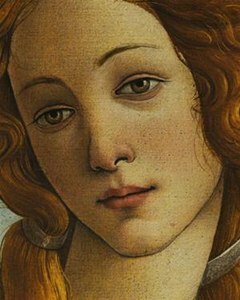 Visit www.googleartproject.com to get started. Explore museums from around the world, discover and view hundreds of artworks at incredible zoom levels, and even create and share your own collection of masterpieces. When you first land on the Art Project, you'll be confronted with a detailed zoom on a famous painting. Just hover over it until the Art Project menu appears. 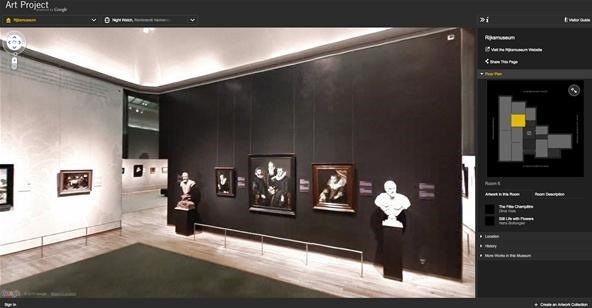 Just click on the museum of your choice, then click on "Explore the Museum" to start the virtual tour. From there, it becomes intuitive. For more information on what you can do in the virtual tour, visit Google's blog entry. From the main menu on the homepage, this time choose your museum and then click on "View Artwork" to begin the viewing pleasure. 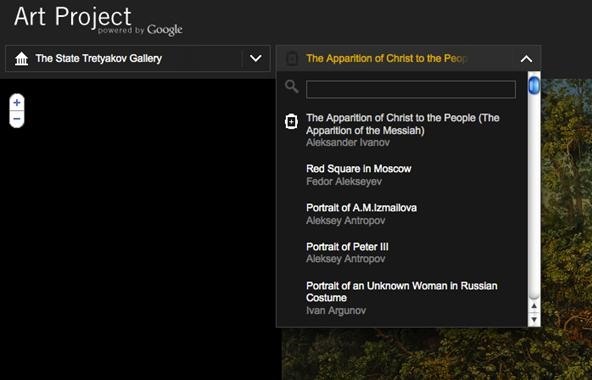 It will automatically send you to a piece of art, like The Apparition of Christ to the People at The State Tretyakov Gallery. From there, you can select or search for other paintings. View the artwork in brushstroke detail! On top of the 1,000+ other images, each of the 17 museums selected one artwork to be photographed in extraordinary detail using super high resolution or "gigapixel" photo-capturing technology. Each of these images contains around 7 billion pixels—that's that's around 1,000 times more detailed than your average digital camera—and a specially-built "microscope view" uses Picasa to deliver thie images at amazingly high resolution. This is an interesting aspect of the Art Project, where you can save specific views of any of the art. You could also build your own collection. To learn more about this feature, and all of the above features, visit Google's official blog entry.